Donald Trump told a bikers’ rally in Washington DC that illegal immigrants in the US often get better care than the nation’s military veterans. “We’re not going to allow that to happen any longer,” he said. The Republican presidential nominee did not provide any evidence for his assertion. In 2015, Donald Trump sparked anger by attacking the military record of Senator John McCain, a former prisoner of war. Donald Trump said John McCain was only considered a hero because he was a prisoner of war during the Vietnam War. Since then Donald Trump, who never served in the military, has tried to repair the damage by frequently honoring veterans at his rallies and holding fundraising events for them. 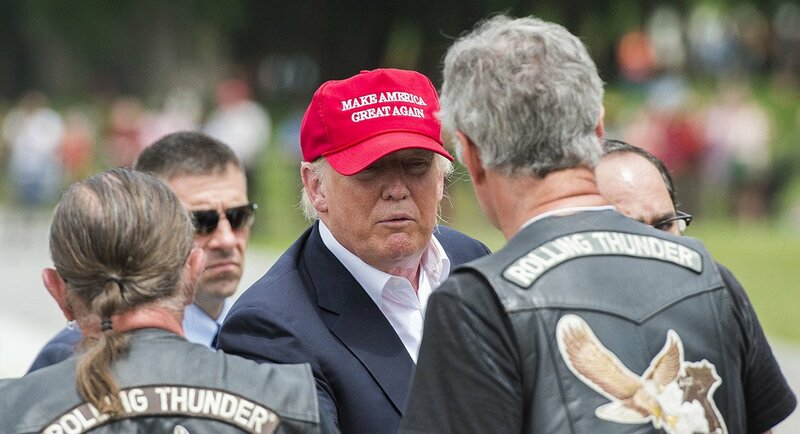 The billionaire’s latest comments came at the annual Rolling Thunder motorcycle rally on Sunday, which was dedicated to remembering POWs and those missing in action. Despite previous criticism, many in the crowd cheered Donald Trump. He was speaking ahead of the June 7 California primary. Donald Trump is running unopposed in California after his Republican rivals pulled out and he reached the number of delegates needed to secure the nomination. It has yet to be formalized.